It's not business as usual this campaign season. Ask U.S. Rep. Sheila Jackson-Lee, a Hillary Rodham Clinton supporter. Jackson-Lee was resoundingly booed by Barack Obama supporters at a recent Democratic convention at Texas Southern University. Black folks have been rather polite when it comes to differing opinions in this presidential campaign so all of this is somewhat a surprise. Perhaps Rep. Jackson-Lee thought she was far too popular to be the brunt of such public disdain. Perhaps she should have talked to U.S. Rep. John Lewis before making such declarations of loyalty to the Clinton campaign rather than demonstrating loyalty to her constituents and her political future. This Jackson-Lee booing episode may appear insignificant but it may also be the tipping point of voters demanding accountability and respect from black elected officials. Share your thoughts on this article and see what other readers are saying. Click here to comment. If you met me, you would regard it as a self-evident truth. But there was a time it would not have been. See, I am a black man. 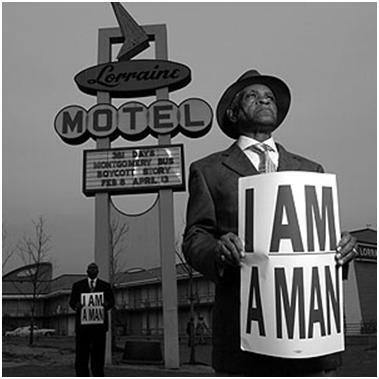 I AM A Man … the verb capitalized and underlined for emphasis on signs they carried as they marched for fair wages, for better conditions, for their own dignity. Friday marks 40 years since that era came to its bloody end. Standing on a balcony of the Lorraine Motel in Memphis, where he had gone to support the sanitation workers, Martin Luther King was shot and killed. Forty years later, here I am, a man - a black man in an era where black men, like other men, struggle to define manhood itself. Is it defined by strength? By toughness? By sexual potency? By money? Forty years ago, it was defined by a single act of courage, black men saying what was unsayable and daring anyone ever to deny it again. 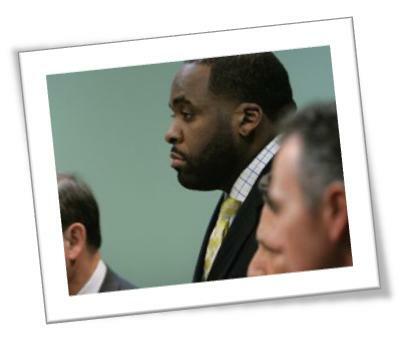 It has taken me some time to write about this issue because, quite frankly, I'd hoped that Detroit mayor Kwame Kilpatrick would have come to his senses and resigned by now. Sadly and selfishly, Kilpatrick refuses to back down and accept responsibility for his actions. The litigation against him and former chief of staff, Christine Beatty, will proceed. Kilpatrick blames the media and almost everyone else for his troubles except himself. It's a damn shame. Since Kilpatrick has tried to flip the script and make himself the victim, it appears that the world will be forced to watch his once promising career trashed and any good that he has done for Detroit rendered meaningless. Kilpatrick's re-election was a surprise based on much criticism from Detroit residents. His charisma resulted in his re-election despite the daunting odds. Will his magic hold out again? That remains to be seen but one thing is certain -- Detroit has been forever scarred by the salacious nature of this latest scandal. A city once the Mecca for many as the motor capital of the United States and the home of some of the most talented entertainers in the world in the empire called Motown built by Berry Gordy. Now the city has been reduced to overwhelming poverty. No matter how he tries to frame it, Kilpatrick's problems are not racial. First, there is the serious issue of perjury. Hello. Perjury is lying under oath. No matter who you are; you can't get away with that. To make matters worse; add in the adultery with his chief of staff and the thousands of text messages, millions paid out of the city's dwindling coffers because of wrongful termination of an employee and the implication of the mayor in the murder of a stripper who allegedly performed at the mayor's mansion. This all seems so unreal. Even if Kilpatrick doesn't care how low he takes the city of Detroit with him because of his latest troubles, even if he is very concerned about his freedom --- as he should be, he must think about his children and how they are being affected by this. Christine Beatty has children also. The children are the innocent ones in all of this madness. Kwame Kilpatrick must stop blaming others, accept responsibility for his troubles and move on from his latest troubles. He can start by resigning. The campaign for the presidency of the United States of America has gone on for a long time. The field of likely candidates has been reduced to one Republican and two Democrats as we look forward to the general election in November. Candidates from other parties will likely be on the ballot but they really stand little chance to win. What was once a fairly uneventful campaign has become negative and in many situations divisive. There have been major issues with the Democratic delegate process, talks on race and surrogates gone wild with utterly asinine statements. With few differences in the position of Democratic candidates Hillary Clinton and Barack Obama on the issues, the Democratic presidential nominee will likely be decided based on character and likability. Senator Barack Obama has emerged as the Democratic candidate with the best chance of heading the Democratic ticket. Based on the delegates already won and in spite of voting debacles in Florida and Michigan, Barack Obama is clearly ahead and should be the Dems nominee. Instead, we find ourselves in a contest between the Democrats that is divisive and will surely result in implosion of the Democratic Party unless there is a sign of Unity amongst them soon. It is mathematically impossible for either Barack Obama or Hillary Clinton to win the Democratic nomination before the convention as did John McCain for the Republicans. Thus, any determination of the Democratic presidential nominee is clearly in the hands of the superdelegates. The superdelegates do not want to be in that position. House Speaker Nancy Pelosi recently proclaimed with confidence on national television that the Democratic presidential nominee would be determined before the national convention in July. Since Barack Obama is so far ahead in delegates, Hillary Rodham Clinton should concede now so the Democrats can campaign against John McCain rather than beat up on each other. Hillary Clinton has consistently tried to change election rules to suit her personal benefit. She's had to eat her words regarding the importance of the vote in Michigan, lied about her foreign policy experience, only recently released her calendar as First Lady and has yet to release requested income tax information. It's time for her to concede. A McCain presidency is tantamount to four more years of Bush-Cheney. This country cannot survive more of that kind of leadership. The Democratic Party leaders must get on one accord, follow the will of the people, and convince Hillary Clinton to step aside now. If you want change in leadership of this nation and do not want the Bush-Cheney legacy to continue in the form of John McCain, take the actions below. Sign the 'Concede Now, Hillary" petition. Tell others about the petition. Especially those fed up with the current political shenanigans. 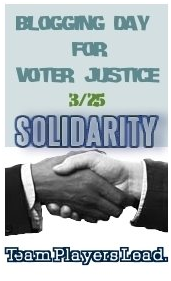 Contact with the Democratic National Committee and let them know your position on Unity in the Democratic Party. Be polite in your statement which can be a few words and even as simple as a link to the petition. See contact information below. Contact the superdelegates in your area, especially those that are politicians with the same message expressing your desire for Party unity and the concession of Hillary Clinton. Click here to e-mail Democratic National Committee. How anyone can think about celebrating athletic accomplishments in an environment of murder and destruction is baffling. Here's a post from the Save Darfur Coalition. Since our computers are being monitored; let me just say hello to whoever is checking this out; there will be more tomorrow. The violence in Darfur is getting worse. More than 80,000 Darfurians have been displaced in recent months and increased fighting has resulted in the deaths of hundreds of civilians. Right now, China should be focused on getting peacekeepers on the ground in Darfur. Instead they appear to be monitoring our computer systems. We cannot let China turn away from the genocide in Darfur. China must use its influence to pressure the Sudanese government to stop the violence. Click here to tell Liu Guijin, China's "special representative to the Darfur issue," to use his power to help deploy UNAMID peacekeepers and end the genocide before more lives are lost. As a member of the UN Security Council, China has enormous leverage over the peacekeeping mission. However, instead of using its leverage to advance peace, China continues to defend Sudan's interests, expand trade, and bolster the Sudanese government's military capacity. We can't be fooled by the aggressive propaganda campaign launched by China in advance of the 2008 Olympics. While China has made a few modest steps forward, these efforts have not improved conditions in Darfur. China's "special representative on the Darfur issue," Liu Guijin, must do everything in his power to push the Sudanese government to allow the swift, full and effective deployment of the UNAMID peacekeeping force. Click here to send a message to Liu Guijin today. The truth? America can't handle the Truth! Here's a powerful video from Sister Souljah I saw over on Long Live THE MESSAGE. I'd not seen it when it was released but its message is particularly intersting in light of race as the hot topic on the presidential campaign. Check it out and let me know what you think. "They say two wrongs don't make it right but it damn sho' makes it even!" That's some powerful stuff! History Recorded the Tragedy at Kent State University but What Do You Know of the Orangeburg Massacre? February 8, 1968 will forever be a day of honor and reverence now that I am aware of the Orangeburg Massacre. The tragedy garnered little media coverage although three young men were killed and 27 others injured in an effort to desegregate a local bowling alley. This is the little known history that must be shared with America. Sharing the truth not out of hatred but out of truth can only be good for us all. You can't fix what you don't face. Please read more at the Orangeburg Massacre website and be sure to review the image gallery. A brief synopsis of the event pulled from the 2003 Nieman Report "Documenting the Orangeburg Massacre," written by Jack Bass. Orangeburg 1968-2008: An adaptation of a presentation on the city's history, by Dr. Bill Hine, professor of history at S.C.S.U. "Miss Universe Crown is Won by Black woman"
That was the headline in newspapers around the world on July 17, 1977. And indeed it was true, for Janelle Penny Commissiong of Trinidad and Tobago had become the first black winner in the 26-year history of the pageant. On the night of Saturday, July 16, 1977, in Santo Domingo, Dominican Republic, the memories of Evelyn Miot (Miss Haiti 1962 and first black woman to make the semifinals); Anne-Marie Braafheid (Miss Curaçao and 1st runner-up in 1968); and Gerthie David (Miss Haiti and 1st runner-up in 1975) seemed to inspire Janelle. During each phase of the competition, she moved closer and closer to doing what no woman of color had done before...to claim the title of the most beautiful woman in the Universe. "I felt like a ray of sunshine was around me" is how Janelle described the feeling that night. When Janelle was announced as the new Miss Universe, Trinidad and Tobago went wild. It was another Carnaval in the streets, and Trinidadian television aired repeats of the pageant for days. The 24 year-old Caribbean beauty, daughter of a Trinidadian father and a Venezuelan mother declared that she "believed her election would contribute to erasing racial barriers." Proud of her victory, she noted, "Beauty belongs to all people; it has no racial or geographic boundaries." On the way to winning the title of Miss Universe, Janelle became only the second Miss Universe to win the Miss Photogenic Award as well. 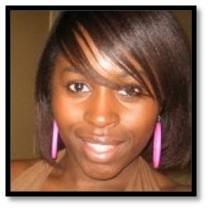 Janelle Commissiong was born in Port-of-Spain, Trinidad to a Trinidadian father and Venezuelan mother. She migrated with her family to New York at the age of 13. After graduating high school Janelle attended the Fashion Institute of Technology before returning to Trinidad in 1976. She traveled the World as a goodwill ambassador afterwards, and decided to take a cash prize instead of a contract with Paramount Pictures (one of her Miss Universe prizes). Local news reports showed a 63 year-old man being attacked and robbed by Bruce Jones, 25 and an unidentified suspect; Rivky Tamar, 17 acted as lookout outside the Star Food Market located at 300 W. Sunrise Boulevard a convenience store in Fort Lauderdale, Florida. It is shameful and I am angry. That man could have been my father. What's even worse is the folks who stood by and watched it happen. Young males who prey on people like that need their asses whipped. It's as simple as that. How dare they prey upon others especially an elder in the community? Thankfully, the gentleman was not seriously injured and is still alive. Incidents like this shake a person to their core. That's how senseless killings start because you know if this gentleman has family, they will be on the lookout for the third guy who is still at large. The black community owes no allegiance to thugs like these guys. They make it bad for all black men. And to the cowardly folks that just stood by and did nothing? Next time it could be you or one of your loved ones. It's time to take back our communities. Let's stop giving in to thugs even if they may be friends or family. We can't get all up in the air about injustices to blacks that are committed by whites and then turn a blind eye to thugs like these.